Our notebooks are created using two pages for each concept. 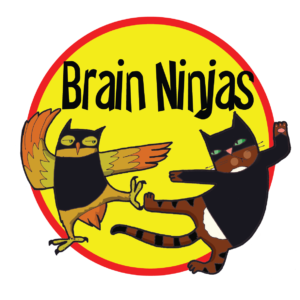 On the right hand page, we share the lesson including important vocabulary, examples and hints or tricks for the procedures. On the left hand page, students prove they understand the concept by verbalizing what they have learned, diagramming a procedure and then making a personal connection to what they have learned. First we do the lesson page (on the right hand side). This page can take one whole math class (sometimes more depending on the concept). Then we work on worksheets, activities, games and mini-assessments to see how well we understand the concept. Once we feel confident, we return to the math journal to prove we understand by doing the left hand page. 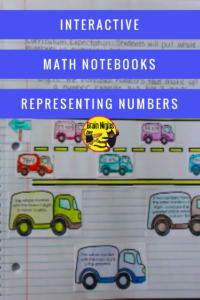 We have found students who consider themselves “not good at math” tend to do better with interactive notebooks because it gives them a chance to verbalize their learning. 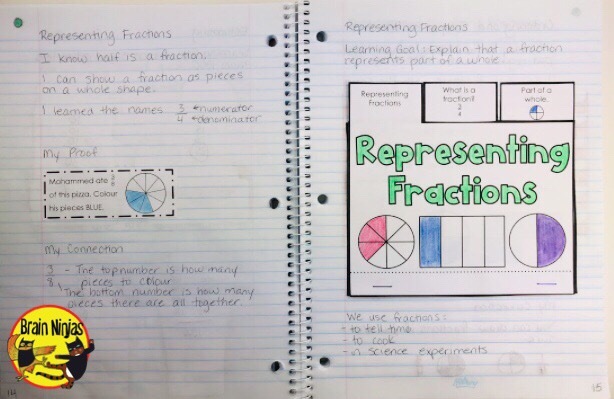 Here is a sample page from our Grade 3 Representing Numbers Unit which includes fractions. Are you looking for templates to use for Representing Numbers? 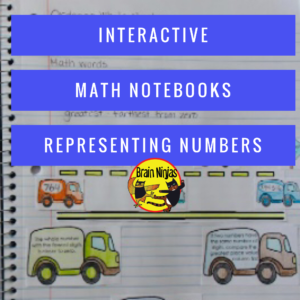 Try our Interactive Math Notebooks products on Teachers Pay Teachers. Each package includes template like the one shown above, materials for setting up your interactive notebooks, practice pages, games, assessments, “I Can” statements and complete lessons that are sub-proof. There are many different templates for interactive math journals out there and most of them are great. The difference with our journals is that they are not just a cut up worksheet. They are pages students interact with while they are doing their class work. 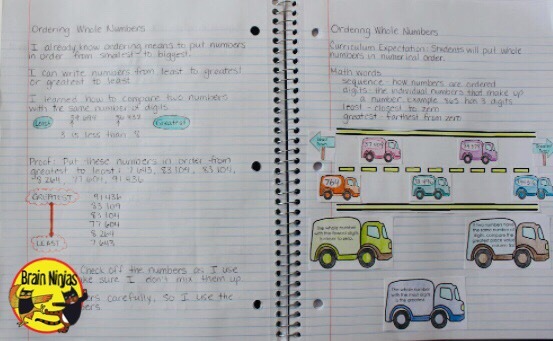 Do you use interactive notebooks? How are you using them? Let us know your thoughts in the comments below.